I never thought the day would come when I would say that I wished that I had a Windows version of MS Excel. I am simply aghast. But never-the-less I have been looking for an XML parsing solution for OS X and can not find one which is graphically oriented. I want to move certain XML encoded content to my blog and the best way (that I can figure) to do this is to import CSV files (although there is a WordPress plugin for importing XML). What am I Using this for? Well I would like to use it with itunes XML, Endnote XML, Bookpedia XML, BibTeXXML, SIL-OLAC data as XML, WorldCat Data as XML? Glotalogue data as XML. 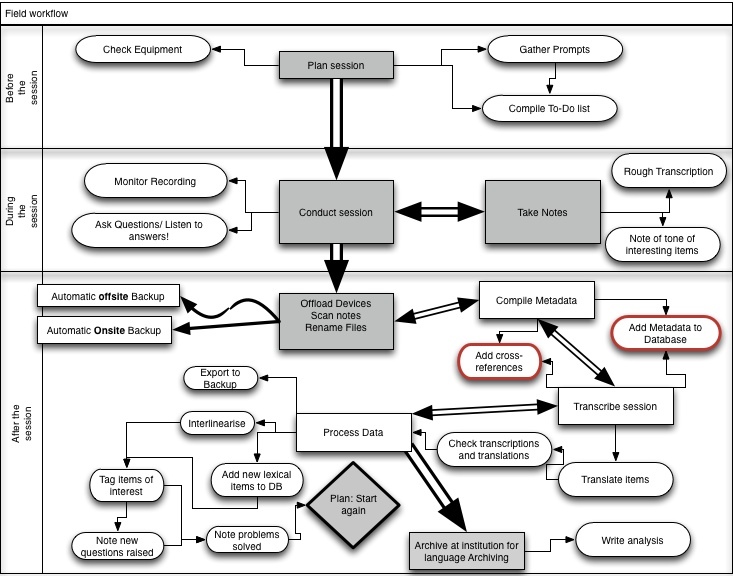 This week I have been outlining the types of data that linguists need to be able to use and relate to each other as they do Language Documentation and Linguistic Research. I try to express these things graphically and then also express where some of the leading tools which SIL International is offering sit in the problem space. 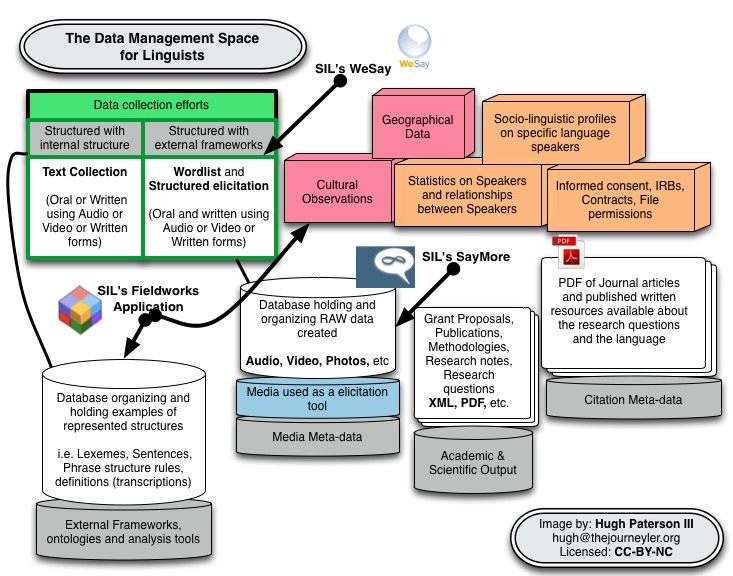 The Data Management Space for linguists with SIL software. I once listend to a Creative Commons Salon titled: What Does it Mean to Be Open in a Data-Driven World? and in that discussion there was a great discussion on what it means to have data which flows and is openMinute 50 has a really interesting comment about sharing scientific data.